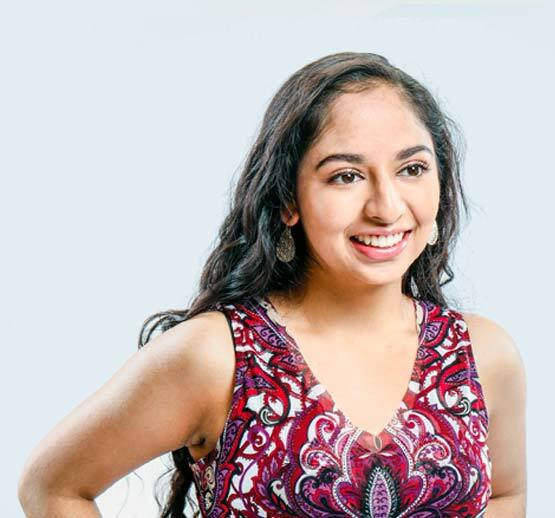 Quarter Zero (formerly Catapult) alumni, Anjali Chadha, is the successful teenage entrepreneur behind Empowered, a non-profit that seeks to train underserved high school girls in technological skills and pair these students with minority women entrepreneurs in their community. But Anjali hasn’t always been so passionate about tech. Fortunately, Anjali saw the light—and the value in what she was learning—pretty early on. As a student at an inner-city middle school in Louisville, Kentucky, Anjali was part of a very diverse group of students with a diverse set of backgrounds. And it’s that experience—that diversity—that led her to see the value of the skills her parents were asking her to learn . . . and ultimately, to the successful business idea that became Empowered. The idea for Empowered came to life at Quarter Zero when Anjali quickly realized that a lot of small businesses could be supported and elevated to reach their full potential by providing the technical skills they need to market their work—the same technical skills Anjali had been learning online (at her parents’ request) for years. In other words, Anjali realized that there was a market need in the entrepreneurial community for the technical skills that Anjali already possessed. Anjali realized she needed to focus not on the businesses, but on the girls: On the young women (just like her) who would benefit from learning technical skills and having work experiences now. These women would benefit from exactly the experience that Anjali’s parents, Quarter Zero, and her own ingenuity and initiative had given her. These days, Anjali has hired support to teach her curriculum as she focuses on her Research Science Institute training at MIT and speaks at events like Startup Grind—but Empowered will always have her energy and attention. She plans to continue working on the company remotely after she heads off to college in a year. There’s no doubt the community is glad to have a leader like Anjali paving the way! Are you ready to lead? Find your idea and power your potential at Quarter Zero.